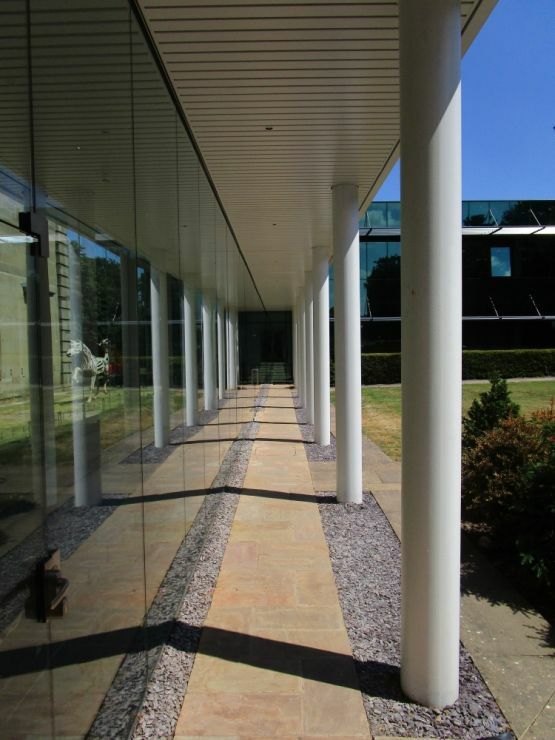 Contemporary, two-storey ‘glass house’ office extension for Pertemps’ HQ, including a glass link to the existing building on-site, Meriden Hall - a grade II* listed early 18th century manor house. The glass curtain walling cladding exterior of the building has been designed around a steel frame, featuring frameless windows and photovoltaic (PV) panels on the roof to contribute to high levels of sustainability. Renewable energy technologies assessed and specified, including solar PV installations and air source heat pumps to help meet planning conditions and improve energy efficiency. 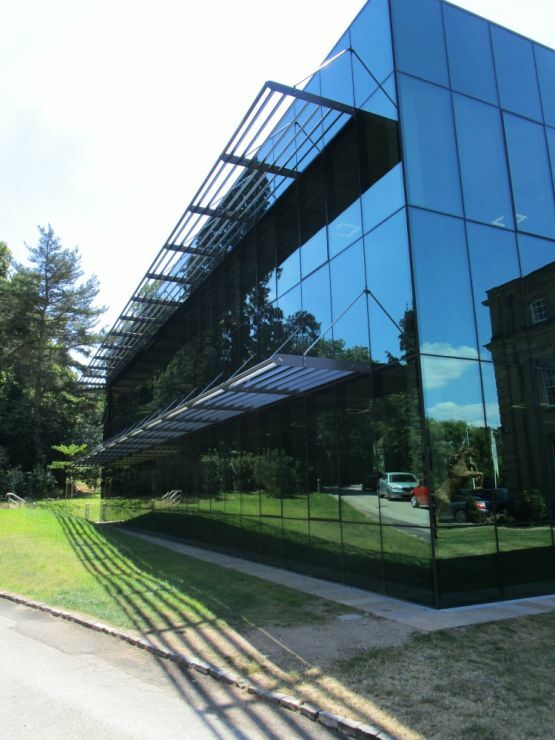 Solar control glazing and brise soleil used to minimise solar gains and reduce cooling demand, in conjunction with an adaptive ventilation system to manage internal temperature and air quality, overcoming the potential overheating issues associated with glass buildings. Cost savings achieved for the client thanks to the PV installation generating a large portion of the electricity required for the office, reducing energy bills and reliance on the grid. LED lighting and heat recovery ventilation.